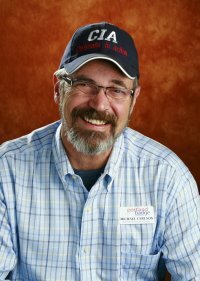 On June 19th I had the pleasure of talking with Michael Carlson of Portland Badge Company. Laurie: Tell me a little about your business. Michael: Portland Badge Company opened in January of 2009. We’re a local company started by myself and Paula Middaugh, my business partner. We previously worked together in the industry and had the same philosophy about how customers should be taken care of and how the business should be run. We started the company in a 200 square foot basement in Tigard. About a year later we moved into our current facility, which at the time was almost 1,000 square feet. About a year after we moved into it we started outgrowing that space, so we leased another 1,000 square feet right next to us. We’ve gone from just Paula and me to having two employees that work five days a week. The company has been on a steady growth ever since we started. We more than doubled our business the second year, and the third year we were about 175% or so. We have no debt other than some net 30’s but the receivables are always up to four times what the payables are. We literally could lock the door at any time and walk away with something positive in revenue. In fact, we didn’t even have any net 30 accounts for the first year or so. Now we do it out of convenience because it’s quicker to run in and sign for something than it is to spend time running a debit card. Also, we send product all over the United States, as well as to Canada, China and London. But our headquarters, all the employees and the majority of our vendors are local. Laurie: What products do you sell? Michael: We sell name badges of course, but we also sell literally every type of sign. We sell indoor and outdoor signs, ADA signage, sandwich boards, banners, vehicle graphics, and rubber stamps. We sell electrical signs, monument signs, there’s literally no sign that we aren’t able to help a customer with. Laurie: What is the most important thing you want people to know about your business? Michael: Customer service is our number one priority. We put that above money. We are a for-profit business, but our philosophy is that if you take care of the customer, the money will take care of itself. We don’t focus on being the lowest price in town, what we do focus on is having a fair market price on our items and delivering customer service that nobody else has. When you come to us wanting a particular sign we spend the time to find out what your needs are and what you’re trying to accomplish. If there are two signs and one of them costs $125 and the other one costs $239, if what you’re trying to do can be accomplished with the smaller sign, that’s the sign we will sell you. Many companies just give you whatever you ask for; they don’t take the time to find out what you need. We go more than that extra mile because our whole goal is for every customer to not only be happy but to have an experience that they go tell other people about. Laurie: What makes your product or service unique? Michael: Most of our products can be gotten many places. We don’t necessarily have one of a kind items, but the way our customers are treated is the big difference. One of the other things that makes us unique is that we have no minimum dollar orders or set-up fees. When we give you a cost or an estimate it’s complete. There’s not an itemized list on your invoice. Your invoice has a product price and maybe shipping. I don’t like these bills that start out at $150 and by the time it’s done it’s $195. Just tell me it’s going to cost me $200. I’m fine with it, but don’t nickel and dime me. 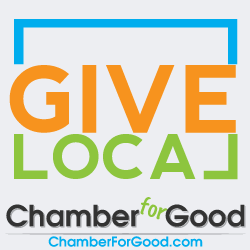 Laurie: What do you perceive as the benefits you receive from Chamber membership? Michael: One of the benefits is the really good relationships that you can build on a personal level. Another advantage is that in building those relationships you can partner with people for your mutual advantage. It also gives you the opportunity to get in front of a bigger group of people at one time, whereas if you’re out knocking door to door you’re just talking to one person at a time. The Chamber really helps in building business and personal relationships, and that’s the number one thing that has built this company. It’s not me or Paula. We have a part in it, but it’s the building of relationships. Laurie: What advice would you give to a new business owner or someone who is considering starting a business of their own? Michael: Be patient. Build positive relationships without expectations. When I go out amongst people I have no expectations of walking away with an order, it’s to build the relationship. When you’re starting a new business plan on a minimum of six months with not one cent coming your direction and possibly having to put a little bit in, because what happens is the networking that we did six months ago is the business we’re getting today. Limit your expectations of immediate return and treat every customer the same because they are. Laurie: What opportunities do you see for your business in the next year or so? Michael: The opportunity will be to get more systemized to make us even more effective in satisfying our customers’ needs. We already guarantee our name badges within 24 hours, and we are very fast on most other things, but we’re looking at getting the gears oiled a little better so that we’re really efficient. I would like to systemize things so that Paula and I can spend a little more time on the business rather than in the business. Laurie: How do you see your business evolving over the next ten years? Michael: I see it evolving to where I can be on the road in my motor home and Paula can be out camping somewhere and we can call in to the office and make sure things are going good rather than having to be in the office every day. The short of it is having the company be able to run successfully without us being 100% hands-on. It has a lot to do with how you train and treat your employees. It’s vital that they feel they’re part of a team and part of the company. I think that’s what will get us to that ten year goal, having a few very quality people that have that same heart and vision that we do. My personal goal in life, and it has been for years, is to give away 90% of everything that I get, and still live a somewhat comfortable life. I’m not there yet, but that is my goal, to be able to sustain my kind of lifestyle on 10% of all my assets, and that enters into the whole vision of the company. There’s no goal of being the owner of this big empire. I want to get to a point where 10% is enough and then I could be off in the motor home camping. It keeps you humble too, and I think that’s where you need to be. You have to be able to look in the mirror and know exactly what you’re looking at, and be able to admit it not only to yourself but to others. People care more about whether you’ll own it or not than they do whether you were smart enough to not make a mistake.